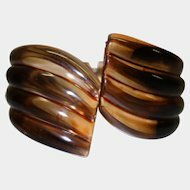 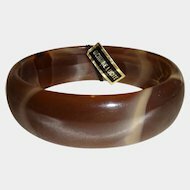 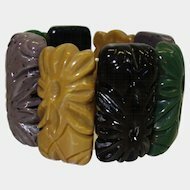 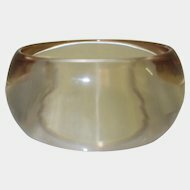 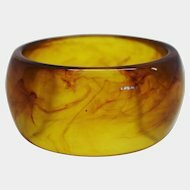 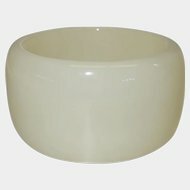 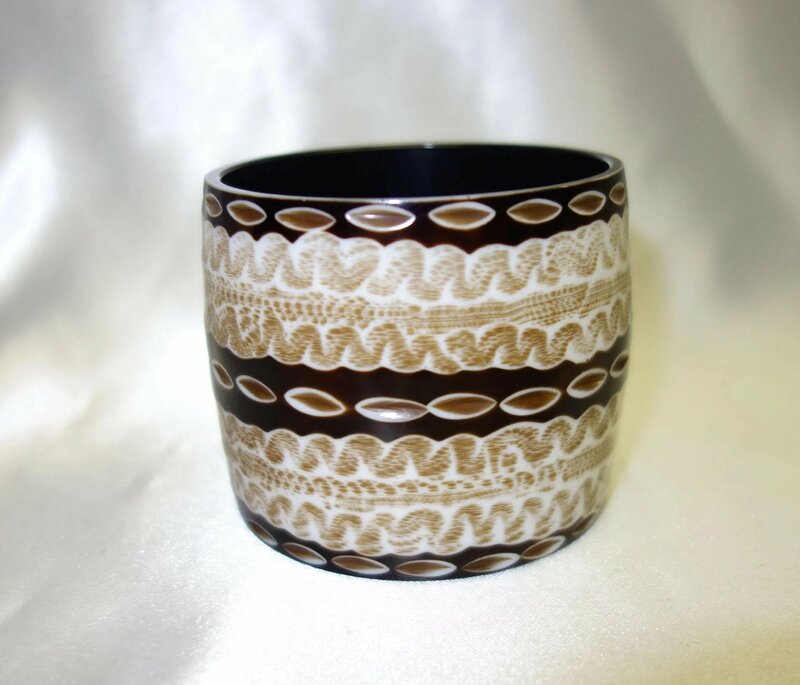 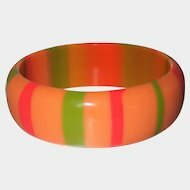 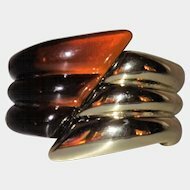 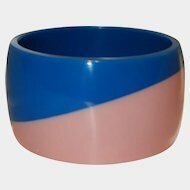 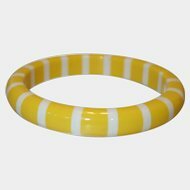 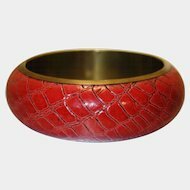 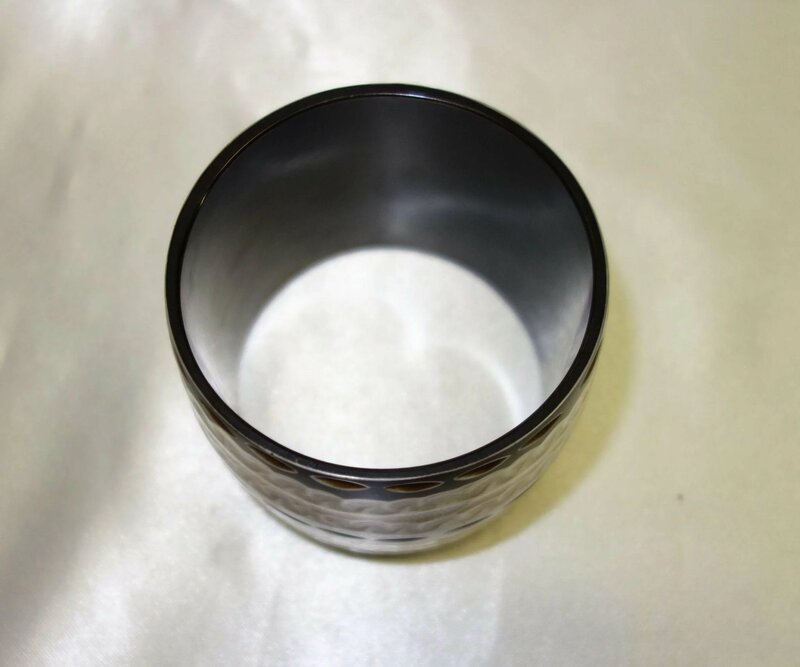 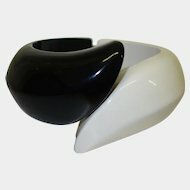 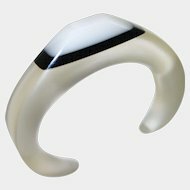 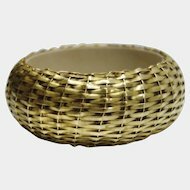 This is a wide vintage resin bangle bracelet. 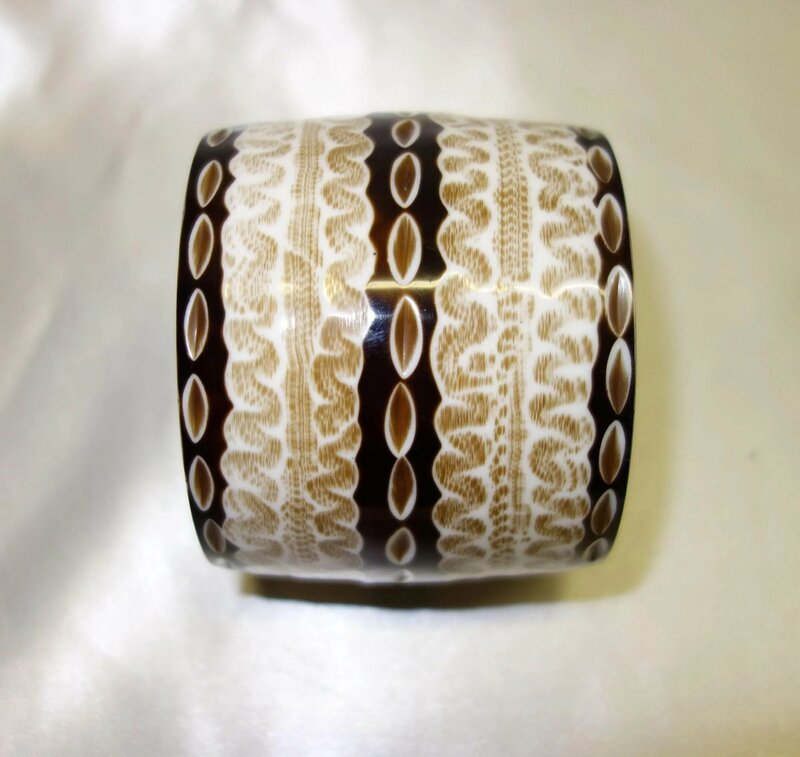 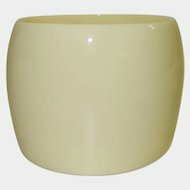 It features 2 -1/2" wide resin walls with a laminated print in brown, tan and white. 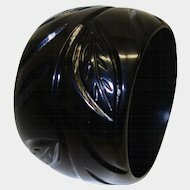 It has a great tribal look to it. 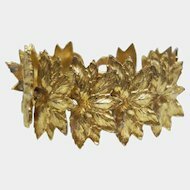 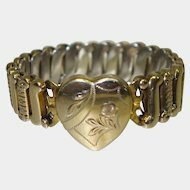 The bracelet is in excellent condition and measures 2-1/2" across the opening.